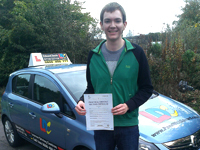 From the start, Edward and his relaxed, but focused, teaching style put me at ease with driving. Any mistakes or mishaps along the way were fixed quickly with reassurance - rather than letting me dwell upon the problem. This approach, alongside the informative and progressive LDC materials, helped me to feel very confident driving and ultimately pass first time. Thank you Edward for all the help, you were a brilliant instructor! 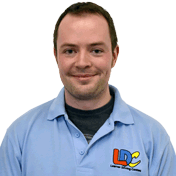 I'm a driving instructor in Falkirk, Grangemouth, Cumbernauld and surrounding areas.